Timothy Donald Cook (born November 1, 1960) is an American business executive and industrial engineer. 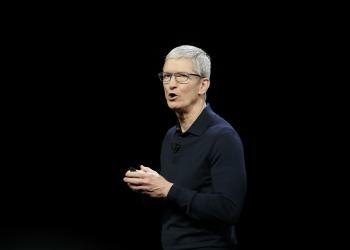 Cook is the chief executive officer of Apple Inc. , and previously served as the company's chief operating officer under its cofounder Steve Jobs. Cook joined Apple in March 1998 as a senior vice president for worldwide operations, and then served as the executive vice president for worldwide sales and operations. Latest news and discussion about Apple CEO Tim Cook. At the TIME 100 Summit Tuesday, Apple's CEO talked ethics, PACs and government regulation of tech. “We all have to be intellectually honest, and we have to admit that what we're doing isn't working,” said Cook, in an interview with former TIME Editor in Chief Nancy Gibbs. “I'm hopeful,” Cook said at the Summit. Cook also explained Apple's stance on transparency and money in politics. In honour of Earth Day, people around the globe are sharing their support for the annual initiative with incredible photos of nature. Among those sharing their favourite photos of the globe are celebrities and notable figures, including Buzz Aldrin and Tim Cook.